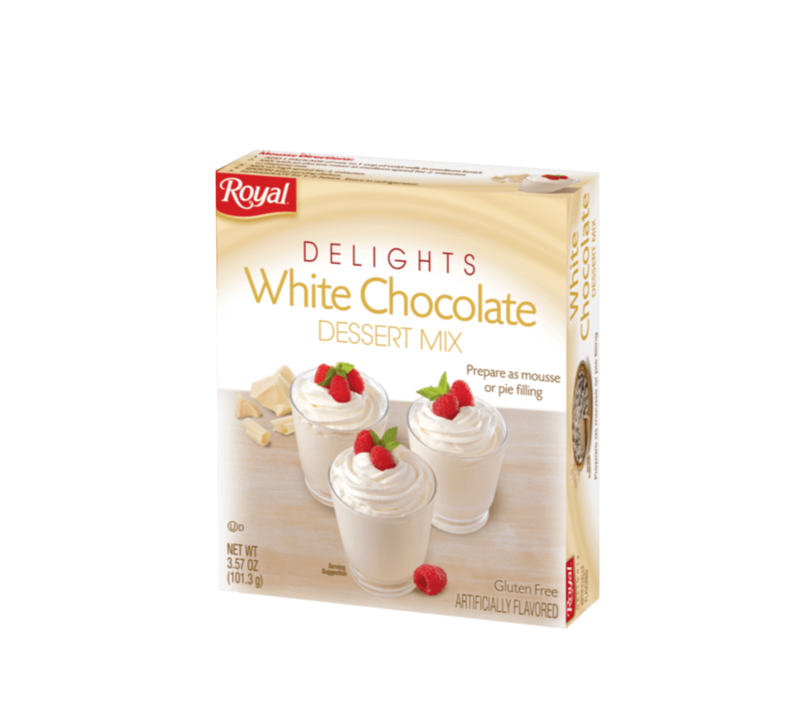 The silky smooth goodness of Royal Delights in White Chocolate flavor will have mouths watering before it’s even ready. Impress your guests (and yourself) by crafting culinary creations with this rich mix that will have them swear they just ordered off the dessert menu. SUGAR, PALM KERNEL OIL, CORN SYRUP SOLIDS, MODIFIED FOOD STARCH, NATURAL AND ARTIFICIAL FLAVORS, PROPYLENE GLYCOL MONOSTEARATE, SODIUM CASEINATE (CONTAINS MILK), ACETYLATED MONOGLYCERIDES, CONTAINS 2% OR LESS OF THE FOLLOWING: MONO AND DIGLYCERIDES, MICROCRYSTALLINE CELLULOSE, SODIUM CARBOXYMETHYL CELLULOSE, TETRASODIUM PYROPHOSPHATE, COCOA BUTTER.